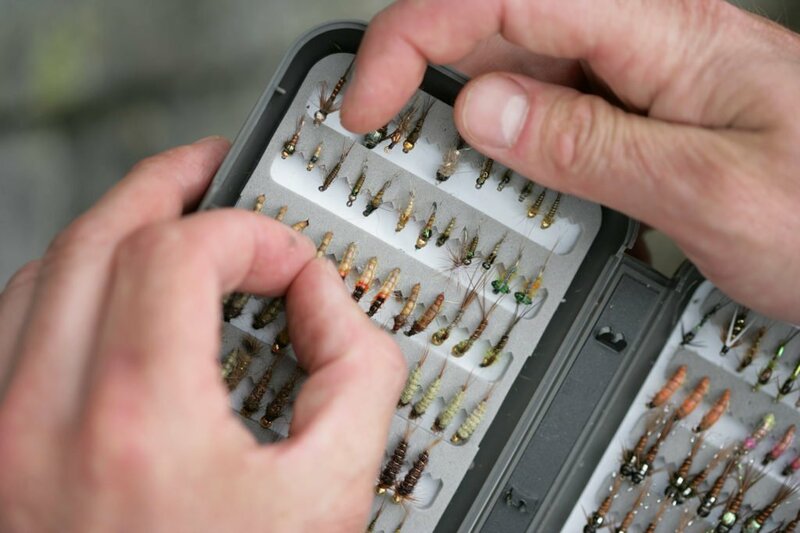 What type of fishing tackle should you use when fishng in Scotland? Here is a list of tackle we use and recommend. At Alba Game Fishing we pride ourselves on using the high-quality fishing tackle to help maximise your chances of success. We provide everything you need to fish in Scotland. Our breathable Orvis waders are comfortable and we match them with sturdy wading boots fitted with PosiGrip tungsten studs to ensure a good grip. Our trout, salmon, pike and sea flies are hand tied here in Scotland by our guides. We also carry a stock of women’s fishing waders, including the award-winning, lightweight Orvis Waders. 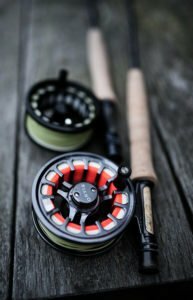 We use Orvis rods and have a range of Helios 2 and Helios 3 rods for competent casters. The go-to rods we use are the excellent Clearwater fly rods, and we have everything from 4 weight 10ft rods to double hand Spey rods. For salmon fishing, we use Scott Mackenzie fly rods, 15ft double hand for large rivers such as the River Tay, River Dee, River Spey and River Tweed. 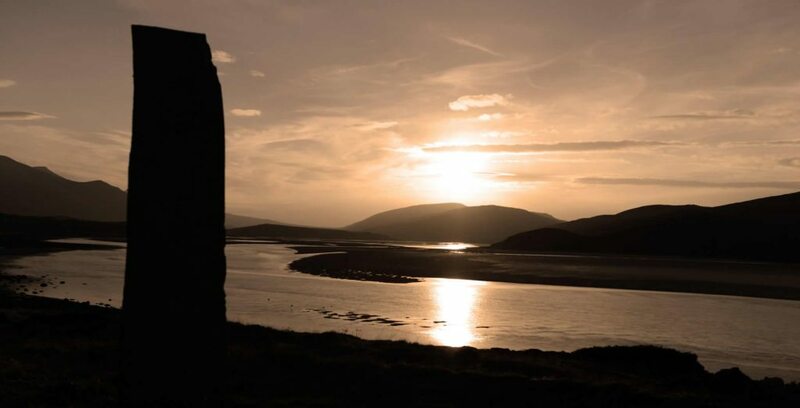 When fishing smaller rivers such as the Orchy, Gruinard and spate rivers on the West Coast of Scotland, we use 11-13 ft Orvis Helios 2 Switch rods. 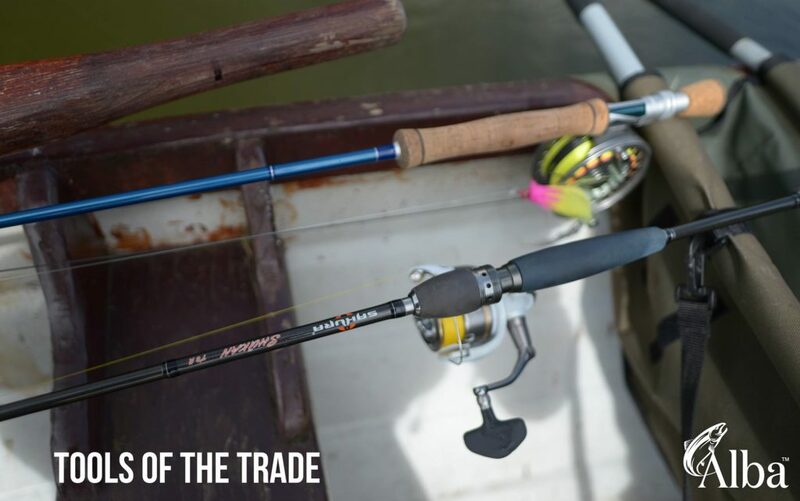 In our opinion, the Sakura and Shimano short spinning rods are perfect for spin casting for pike from a boat. We also use these rods when shore fishing in the sea for Pollock and Wrasse. For salmon fishing a longer rod is needed and an 11ft Daiwa Whisker is a good option, especially when playing a big salmon on one of the Big 4 Rivers in Scotland. All year round, regardless of what time of year I would recommend waterproof trainers for boat fishing waterproof outdoor boots for bank fishing. Warm trousers a long-sleeved T-shirt, shirt and a thick fleece. A warm hat and most important, polarised sunglasses. Alba will provide lightweight waterproof jacket, over trousers and if wading we supply waders, boots and auto inflate life vests. Lightweight trousers(convertible’s are best) a long-sleeved T-shirt, and a lightweight fleece. In April, Sept and Oct the weather can turn cool so bring an extra layer. A baseball hat and warm hat as back up and most important, polarised sunglasses. Alba will provide lightweight waterproof jacket, trousers and if wading we supply waders, wading jackets, wading boots and auto inflate life vests. Scottish weather is totally unpredictable. Because we are close to the sea, a large continent, the Arctic and the warm air from the gulf stream, there are many conflicting influences.This can, however, make for some dramatic scenery and skyscapes and at times the light is breathtaking. In the winter the temperature tends to hover around the 3 degrees c mark, with occasional frosts, snow tends to only settle on the higher ground and in the mountains. We have an expression in Scotland, 4 seasons in one day and in the summer this can sometimes be the case, so its best to always have a few spare layers. Copyright 2017. Alba Game Fishing Ltd. All rights reserved.